Just like many other invasions in Italian history, also the bed and breakfast one came from the north. The tourism workers was not used at all to lodge its guests in something different from an hotel or an apartment, because Rome had always been the destination of particularly wealthy tourists. There was no need to offer them only the possibility to have breakfast in the morning in a place similar to a real house, just to save up some money. Now the world of tourism has totally changed. New kinds of travellers need just a place to sleep at night in a comfortable environment, preferring to save money or to spend it even more, for any other reason but an hotel room: to make a guided tour of Romes monuments and museums, to shop in the fashion boutiques area surrounding the Spanish Steps, to book a comfortable transfer from the airport, to enjoy the night life of the Eternal city and so on. Luckily enough, people of Rome finally got it so that in the last fifteen years they started to open bed & breakfasts all over the city and often in the same beautiful locations of the best an more luxury hotels of Rome. Most of them were owners of flats and small charming buildings in the city centre and they took the risk to start this business from scratch. But very soon they realized that these kind of accommodations would suit Romes tourists just as well as everywhere else in the world where they were already so popular. An even more: a total boom of reservations was registered! If youll ever have the chance to lodge in one of Romes b & b you will easily understand why the first ones who lodged there liked it so much: because those rooms had actually been someones bedrooms, bathroom and dining room till yesterday, they had been lived for real, they had been a real house for entire generations: from children to grandparents; in a word, they had been alive. A lot of travellers seem to like this atmosphere much more than the aseptic one of a very refined hotel. But theres more. If youve already booked a room in some bed & breakfast or some guest house for your holidays in Rome, you will be positively impressed by the people who usually run these places. Most of them still live there and they are not in a rush as some hotels receptionists: usually they are very friendly people who enjoy to have a little chat with you while theyre arranging your breakfast in the morning. 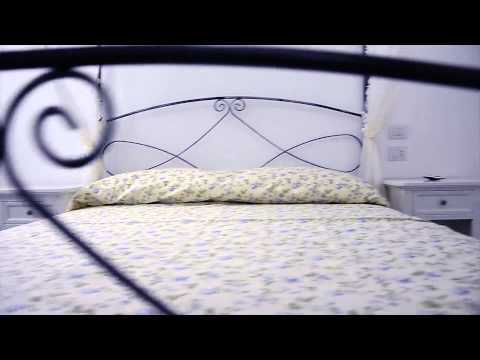 Do you want some tips about where are the best locations to book a Bed & Breakfast in Rome? Trastevere and Rione Monti, with their picturesque old building, all restored in the inside, are tremendous spots to look for this particular kind of accommodation. One last tip: if youre trying to book online your accommodation in Rome, just beware of hidden costs and always ask for real bed & breakfasts or guest houses: theyre so requested right now that some tiny hotels pretend to be one of them!